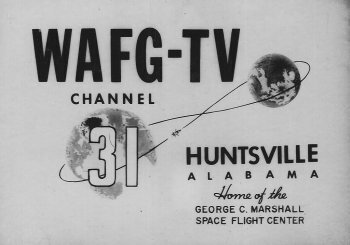 All of these photos submitted by Sam Arnold, one of the very first employees of Channel 31 in 1960 when the station was WAFG-TV.  One of the old hand-painted ID's is above. Painted by Howard Troutman. First you mentioned the building. One picture shows my first look at the building on Feb. 1, 1960. The building was built by Pete Gunn a builder who lived near the station and I think he was given stock in company. My recollection he also built the first expansion housing the GE transmitter. Boy we thought the building was large. 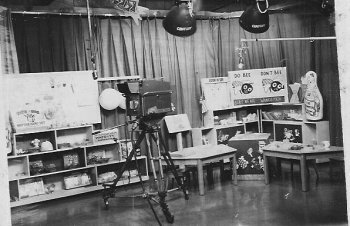 This is the Romper Room set ( a Burt & Nancy Claster Production) that was done live each morning in the main studio. The show started in 1954 in Baltimore and eventually was running in almost every market. It lasted into the 80's. 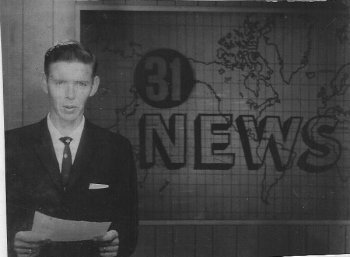 Bert Claster trained the local talent. Do you remember the "DO-BEE" and the "DON'T BEE"? How about when Miss Elanor looked into her magic mirror and saw all the boys and girls at home? 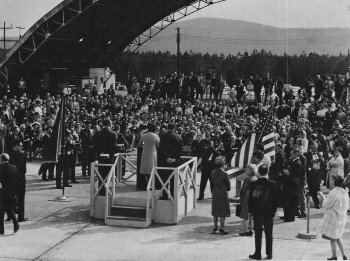 Lady Bird Johnson Visits Huntsville. Sam is in the rear with the old Auricon Film Camera capturing the event for the 6:00 news. 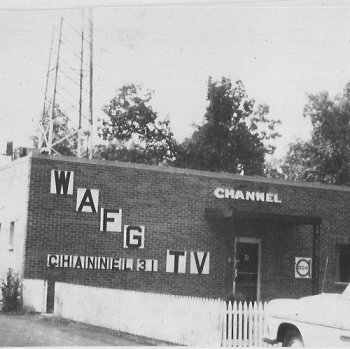 The Director's Booth in 1960. Two monitors for both cameras, a master switcher monitor and an on-air TV set. 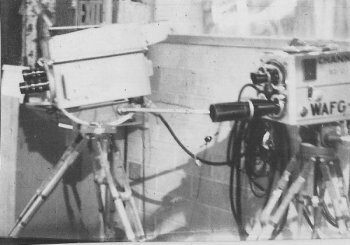 The cameras in the picture are GE IO (image orthicon)and GPL IO one of the original cameras. 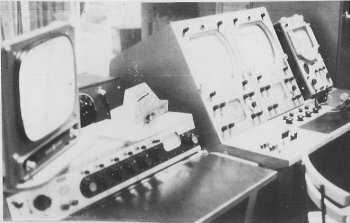 The station started with 2 GPL IO cameras and you are right, the GE IO and GE vidicon (not pictured)were added in '61 with the transmitter. By the way only a few of the GPL were made. I ran into one in the basement museum in El Paso, TX.